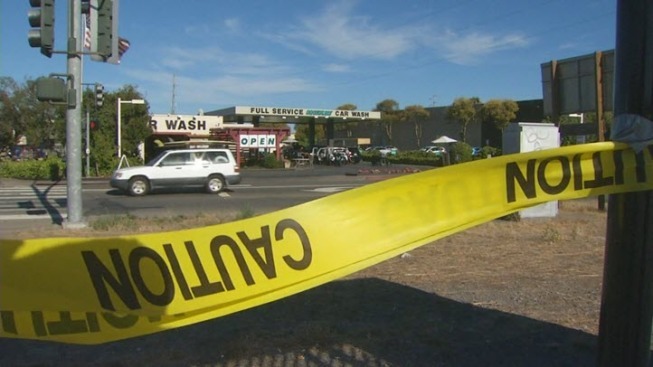 The California Highway Patrol is investigating a Greenbrae car wash employee's claim that a Jeep suddenly accelerated at the car wash and crossed lanes of U.S. Highway 101 traffic Saturday afternoon. Juan DeLeon, 52, of San Rafael, told the CHP the 1999 Jeep Cherokee was in neutral as required at the Lucky Drive Brushless Car Wash in Greenbrae when it accelerated around 4:20 p.m. Saturday, CHP Officer Andrew Barclay said. The Jeep traveled over a sidewalk, across three lanes of the Redwood Highway Frontage Road, through an unoccupied bus stop shelter, across five lanes of northbound Highway 101, through a center divide and across two lanes of southbound Highway 101 before it stopped without hitting any vehicles, Barclay said. The crash tore out approximately 150 feet of metal guardrail in the center divide and left debris in the fast lanes of both the northbound and southbound sides of the highway, Barclay said. DeLeon said he tried to apply the brakes but the Jeep kept accelerating. The CHP held the Jeep for inspection, Barclay said. The car wash management said because it has had problems in the past with that make and model of Jeep, employees sit inside as the vehicle moves through the car wash, Barclay said. "Even if he inadvertently hit the gas, he went a very long distance and hit a lot of things," Barclay said. DeLeon did not have any health issues, and there is enough credence to his story for the CHP to look into what else could have gone wrong, the officer said.